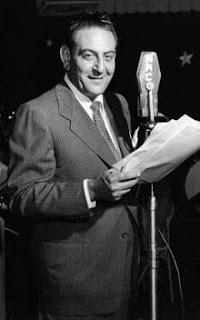 Gaetano Alberto "Guy" Lombardo (June 19, 1902 – November 5, 1977) was a Canadian, then American bandleader and violinist. Forming "The Royal Canadians" in 1924 with his brothers Carmen, Lebert, and Victor and other musicians from his hometown, Lombardo led the group to international success, billing themselves as creating "The Sweetest Music This Side of Heaven." 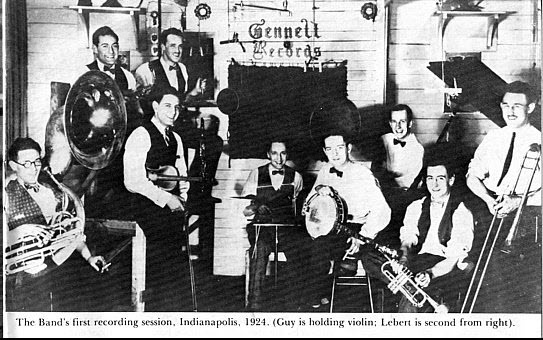 The Lombardos are believed to have sold between 100 and 300 million phonograph records during their lifetimes. Lombardo was born in London, Ontario. His father, Gaetano, was an amateur singer and had four of his five sons learn to play instruments so they could accompany him. Lombardo and his brothers formed their first orchestra while still in grammar school and rehearsed in the back of their father's tailor shop. Lombardo first performed in public with his brother Carmen at a church lawn party in London in 1914. His first recording session took place where trumpeter Bix Beiderbecke made his legendary recordings — in Richmond, Indiana, at the Gennett Studios — both during early 1924. 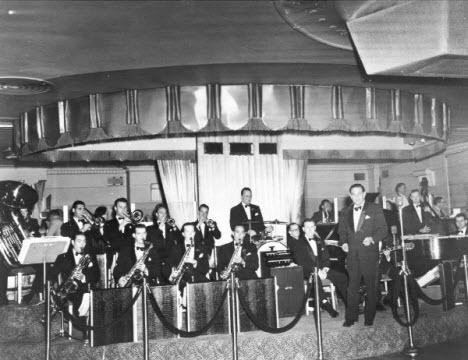 Lombardo's orchestra played at the "Roosevelt Grill" in the Roosevelt Hotel in New York City from 1929 to 1959, and their New Year's Eve broadcasts (which continued with Lombardo until 1976 at the Waldorf Astoria) were a major part of New Year's celebrations across North America. Even after Lombardo's death, the band's New Year's specials continued for two more years on CBS. In 1938, he became a naturalized citizen of the United States. The Royal Canadians were noted for playing the traditional song Auld Lang Syne as part of the celebrations. Their recording of the song still plays as the first song of the new year in Times Square. Although Lombardo's big band music was viewed by some in the jazz and swing community of the day as "corny," trumpeter Louis Armstrong famously enjoyed Lombardo's music. In November, 1977 Lombardo suffered a heart attack and died. Victor took over the band briefly but could not maintain it. When Lebert severed his ties in 1979 the group finally dissolved. The orchestra was later revived in 1989 by Al Pierson, playing a mix of nostalgic tunes and modern arrangements. Lombardo was inducted into the Long Island Music Hall of Fame in 2007.